Book 1 of the September Issue. Photography by: April Cormier, Daniel Waschnig, Jessica L. Fogle, Markus Dodi, and Raen Badua. 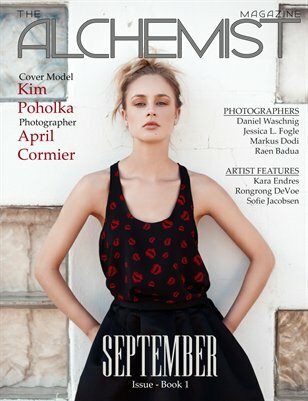 Cover model Kim Poholka with Numa Models. Artwork by: Kara Endres, Rongrong DeVoe, and Sofie Jacobsen.